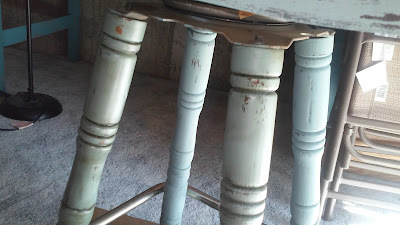 UPDATE June 2, 2018: I ended up cutting a few inches off the legs to make this chair fit under our table. Yes, it fits. No, it's not super stable. The kids have learned the hard way to not twist and wiggle in the chair too much or it tips over. Turns out that the angle of the legs helped stabilize the chair. My takeaway from this transformation: do not shorten the legs on a bar-height chair if they are not at a 90degree angle. I actually have no idea what style this chair is called. Bar stool? 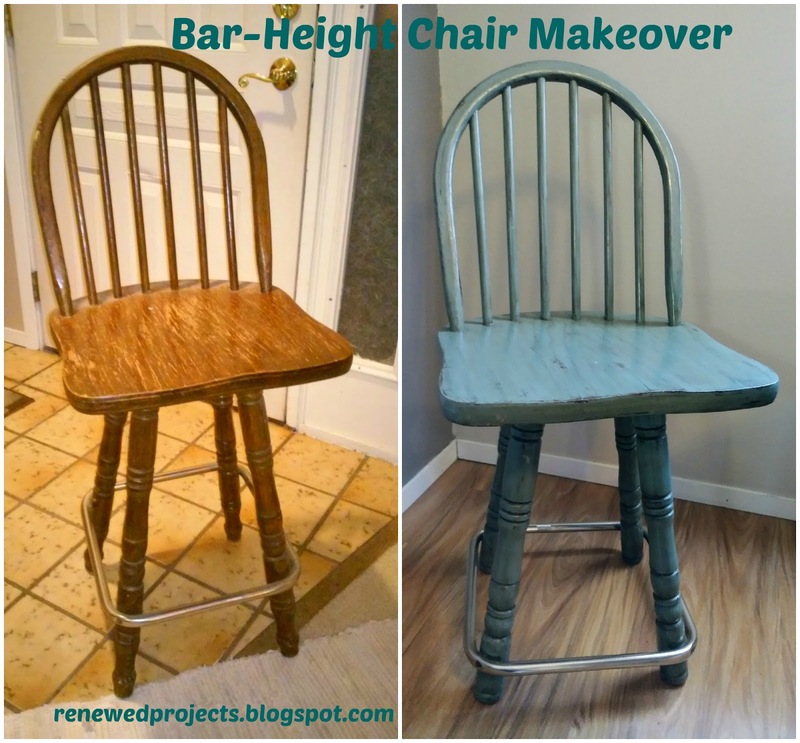 Bar height chair? Fun-spinning-chair (kiddos term)? 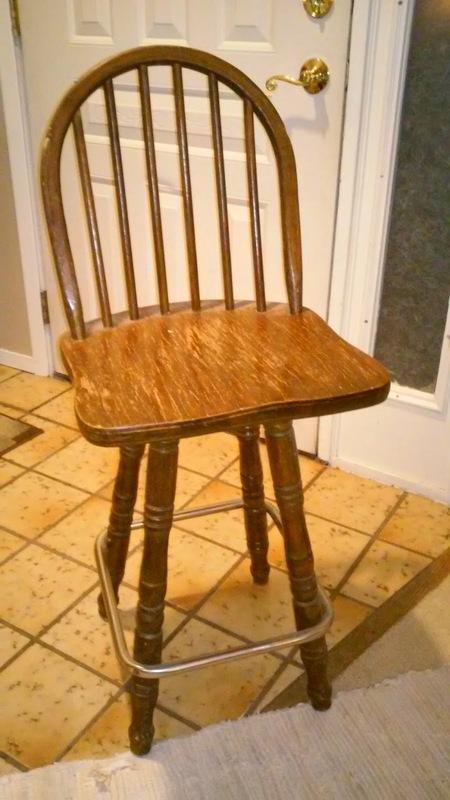 Let's call it a Bar-Height Chair. Anyways, after dropping my daughter off at school we snake thru the surrounding neighborhoods for treasure. I found this chair next to a saddle and old coffee table. Being short a horse, I left the saddle, and too many car-seats with diapered bottoms in them kept me from scooping up the coffee table. Chair it was. 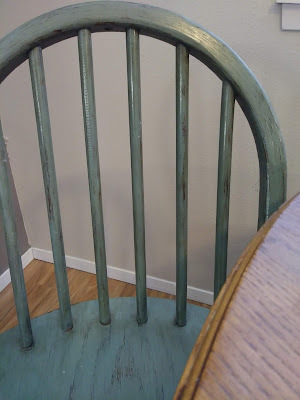 Couple sloppy coats of homemade chalk paint in Moody Blue as seen here. Then wiped on/wiped off with walnut stain. Pictured below: the forelegs have been stained but not the back legs. 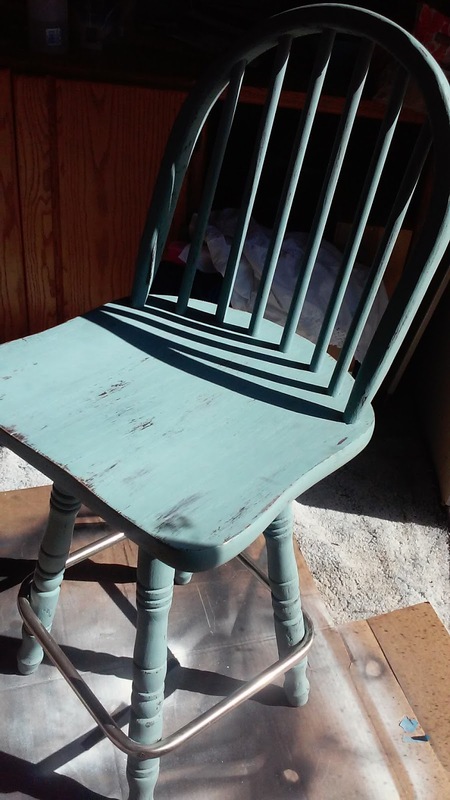 Stain adds a slightly green tint. Love how the stain highlights the grooves and nicks adding more charm. Its a pretty pop of color in my otherwise neutral breakfast nook. 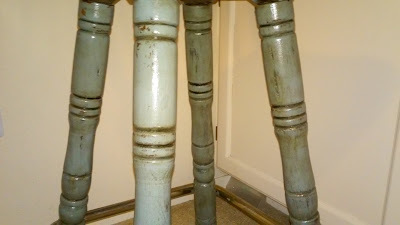 I adore how the stain calls attention to the grooves and other time-worn areas. Despite this chair as a tipping danger, it is a favorite for the boys and our male guests. 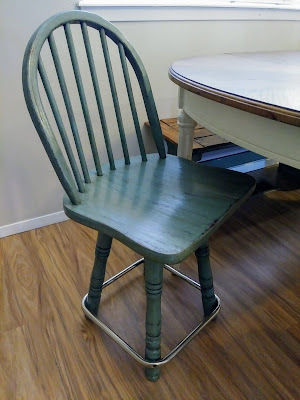 Since it sits a little higher than our other kitchen chairs its a more comfortable fit with their long legs. 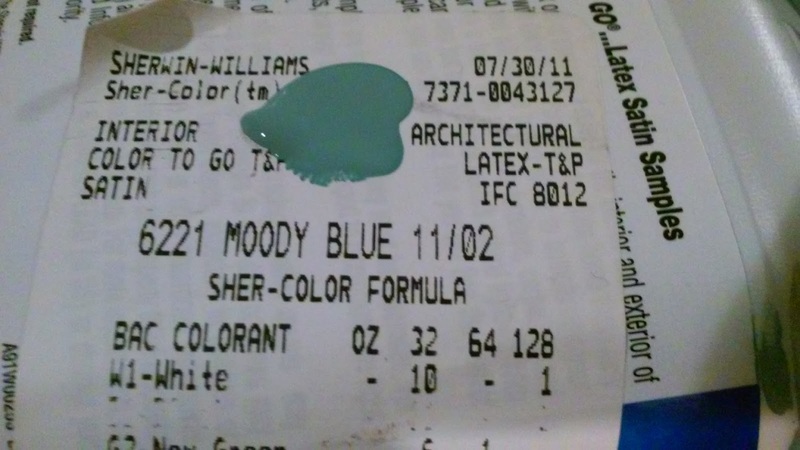 And it matches my kitchen table bench. Free is always the best! Great work on it. 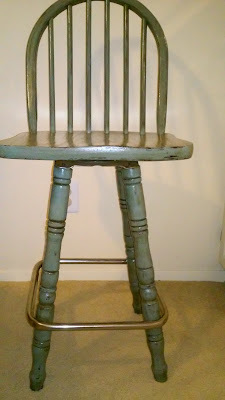 Thank you for linky up at Chic By You Wednesday Linky Party! 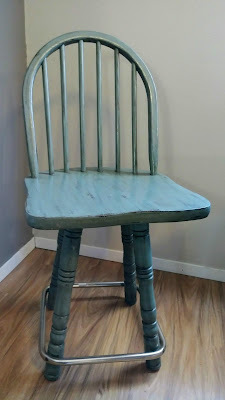 Love the way this sweet chair came out!! Fantastic transformation!! Now it looks way better! I love this chair! The chair is a wonderful oddity. Love the color and technique you used. 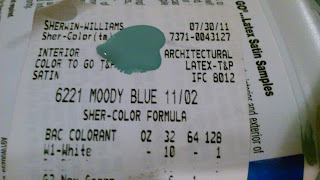 That's for linking up to Choose Save Tuesday Audra! Roadside rescues are always a favorite of mine. 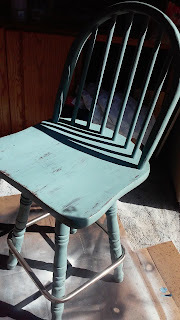 The chair came out wonderfully I love the color. Thanks for sharing your project at #FridaysFurnitureFix !